Kolbano beach is not much known and visited by people in the city of Kupang. This is because Kupang residents have to travel so far approximately 130 km with 3-hour travel time to see the beach. However, although not so popular as a tourist destination, Kolbano Coast still has main attraction that can not be found elsewhere. 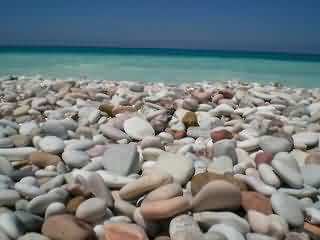 The beach by the Indian Ocean or South sea is filled with small stones plates shaped and smooth-textured coastal rocks. 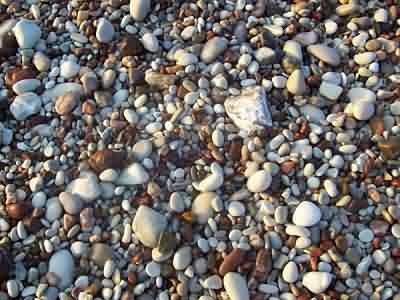 Kolbano stone, the name was known to refer to the rocks of the coast which has become Kolbano ultimate commodity for the people around Kolbano Beach. This Kolbano stone has been mined and traded officially since the 80s. These stones are usually used as decorative stone in the garden or in the lobbies of hotels, both domestically and abroad. Kolbano beach can be enjoyed by both tourists coming from the area around East Nusa Tenggara and various other areas. If you live in Jakarta, you can use a Mandala Airlines plane, Sriwijaya Airlines, Batavia Airlines or Merpati Airlines with the aim of Kupang for ± 6 hours. Arriving in the city of Kupang, East Nusa Tenggara, there are 2 (two) options that you can do: You can spend 1 (one) night in Kupang, or you can directly go on to the beach Kolbano. If you want to continue the journey to the Coast Kolbano, you can use the travel services or the city bus for Rp.60.000,(± US $6). But it is recommended that you go on 06.00 WITA, because the bus leaving from the bus station Kupang only one-way trip and the trip to the beach from Kupang Kolbano taken for another ± 6 hours.